Owen Grafham leads research, advocacy and communications for the Moving Energy Initiative. A new visualization provides the first-ever global picture of how much and what types of energy refugees are able to access. Find out how this can help influence policy and help refugees to live more safely. Nine out of ten refugees in Burkina Faso have no choice but to use firewood for cooking. 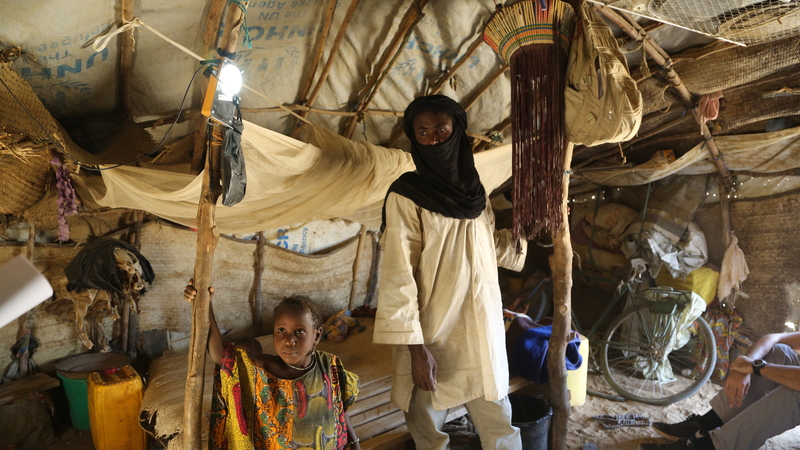 Many refugees depend on battery-run torches for lighting at night. The lack of clean and reliable energy sources is problematic for women and girls, who are vulnerable to harassment and violence when collecting wood. Father and daughter in their shelter in Goudoubo refugee camp, Burkina Faso, March 2017. © Kwesi Annim. We need energy for everything we do. We use it to cook, heat and cool our homes. We turn on the lights to keep active after dark, or if we want to go outside at night. These simple choices are not always available to the 65 million people who are displaced around the world. Refugees and displaced people are among the most energy poor on the planet. A major challenge is that we do not know enough about the types of energy that are used in camps and how much these cost. We need to understand the underlying data to put in place better policies and cleaner solutions. A new visualization by the Moving Energy Initiative, with support from the HDX team, is designed to show how energy is used by refugees and displaced people. The data model offers the first estimates of the scale and cost of energy use and CO2 emissions among the households of persons of concern to UNHCR worldwide. For instance, in Niger we estimate that forcibly displaced people are consuming around $18 per person annually (or $90 per household) on cooking fuel (largely wood). In Jordan, however, most forcibly displaced people cook with gas and we estimate that annual spending is much higher, at around $74 per person (or $370 per household). The visual shows the predominant types of energy available to refugees around the world. This data is essential to understanding whether local energy supplies are sustainable. For example, if only firewood is available, there will be greater levels of local deforestation, and potentially a higher incidence of respiratory problems among refugee families. Violence against women and girls can become a problem too since they often have to travel for many miles outside camps to collect this woodfuel. The Moving Energy Initiative aims to use research, advocacy and evidence from pilot projects in camps to change the way the humanitarian system looks at energy issues in its operations. The Initiative brings together the UK-based think tank Chatham House, the energy NGOs Energy 4 Impact and Practical Action, the Norwegian Refugee Council and UNHCR. It is supported by the UK’s Department for International Development. The data is based on energy modelling and surveys originally conducted by Chatham House in 2015/2016 and subsequently updated regularly since then. We are open to data contributions, review and updates, especially from humanitarian organizations in camp locations. Provide data and feedback through this form. We anticipate adding new population data to the model in May 2018. We hope that private companies interested in providing renewable energy access to camps will find this data useful. We also hope that host governments and donors will be able to use the data to influence refugee policy to allow for better energy access. UN agencies and civil society organisations are working towards a Global Plan of Action so that the energy needs of refugees are taken into account in humanitarian interventions. As the launch of the plan at the High Level Political Forum in New York in July draws closer, this is the right time to share insights from the available data and communicate the scale of the problem. Owen Grafham leads research, advocacy and communications for the Moving Energy Initiative. He also co-chairs the Working Group on Policy, Advocacy and Host Country Resilience for the Global Plan of Action on Energy for Displaced People. 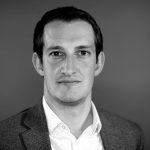 He’s the Energy, Environment and Resources department manager at Chatham House.